A cute loving friendship picture portraying a thanking you message to your dear friend. Two cute teddy art expresses the closeness between friends. Share this picture with your friend and thank him for his friendship. 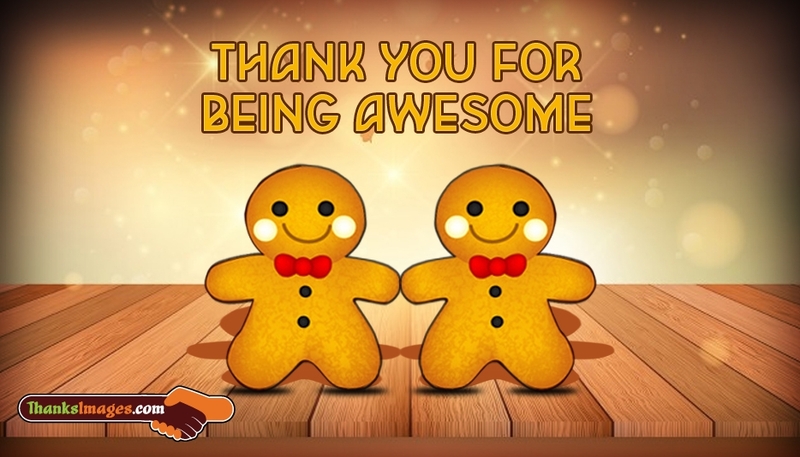 Send this "Thank You for Being Awesome" picture and express your friendship to your dear friend through a thanks message.